I finished recently my studies at Aalto University Executive Education, Board of Directors Program. As a whole the three days we had together were addressing all the right issues about having a well-functioning board, and I was quite pleased with the overall outcome. Corporate governance, strategy, managing conflicts or the relationship between the board and the CEO, and a lot more were all covered. An active and fun group of experienced executives contributing to discussions was great as well. However, one of the most interesting topics came up today during the last 20 minutes or so, when we were already celebrating our diplomas with a glass of bubbly in our hands. Who has been in a board with a member of 25 years of – not experience but – age? Who has been in a board with a member of 25 years of – not experience but – age?" There is so much happening right now regarding business models, communication, start-ups, and new ways of thinking that the traditional way of building a Board of Directors just simply should be changed, and fast. If even the youngest of the board members are born in the 70’s, how well is the board equipped for tackling the changes in the consumer market or identifying new rivals? We simply don’t have the tools and the vocabulary that the millenials use. My god, we still think it is perfectly fine to have a floppy disk as the “save” icon on our laptop! As Timo Löyttyniemi, VP of the Single Resolution Board added, most of us have learned our jobs by doing. I totally agree. Why couldn’t companies have young, relatively inexperienced but tech-savvy and hungry board members, who would learn the board work by actually being in a board? There sure is plenty of the C-suite experience and process knowledge in place to secure the governance role of the board being fulfilled, but a fresh wind from a different background could help the company to straighten the strategy into a digital era and maybe find a new business somewhere where no one had thought about looking before. As the current boards will meet a huge turnover of members in the next few years because of many current members retiring, who will be the next generation taking over? Is it the now 40-50 years old with the C-suite experience, or will we be seeing young, sub-30 years old board members with a new view and perspective? Interesting to see how it finally turns out to be. 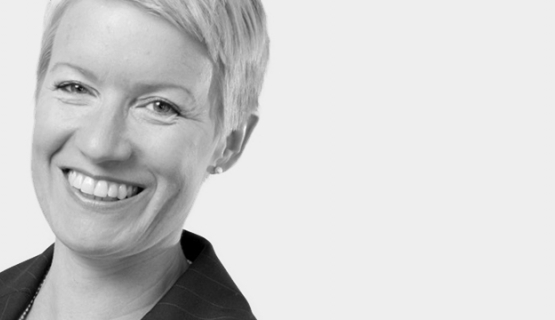 Sanna Wester is an Interim Executive, entrepreneur, advisor, mentor, speaker, MD at Markkinointitoimisto Viestar Oy and attended Aalto EE's Board of Directors program. Currently reading: Aalto Leaders' Insight: Are you in the next generation of Board of Directors?